 Friendship Celebration is in fellowship with the Bible-based, Gospel-centered Lutheran Church-Missouri Synod. We affirm our commitment and affiliation with the teaching of this denomination which believes that the Bible is the inspired, the only infallible, authoritative Word of God. The basis for all that we believe and do in service to God and one another is the Bible. We trust in God's Spirit to guide us to a more complete understanding of God's Word as we seek to apply it to every area of our lives. The Bible is alive and relevant for our circumstances, problems and the decisions which we make on a day to day basis. In areas where the Bible is clear and concise in giving direction, we seek to be clear and concise in applying it to our lives. Where the Bible is not clear, we seek the guidance of God's spirit, our conscience and the Christian community. We believe in the Triune God, the Holy Trinity, as confessed in the three ecumenical creeds: the Apostles' Creed, the Nicene, and the Athanasian. The mystery of the 'three in one" God is three persons in one, eternally existent, besides whom there is no other. To God the Father is especially ascribed the work of creation; to God the son, Jesus Christ, is ascribed the work of our salvation; and to God, the Holy Spirit, is ascribed the working of a faith response in our hearts and minds to what God has done and continues to do in our lives. We believe that God has a standard for us to live by. Jesus made this very clear in His words: "Be perfect, therefore, as your Father in Heaven is perfect." Matthew 5:48. He made us and we are accountable to Him for our thoughts, words and action. But in spite of God's expectation we also believe that all people continually fail to live up to what God expects. The Bible calls this condition SIN. We believe that this sinful condition has caused alienation between God and mankind, and places us under God's judgment. We believe that God's great love has provided the solution for our lost and separated condition with Him. He sent our substitute in the person of Jesus Christ who led a perfect life in our stead, and paid for our lost condition with his life and blood. In addition, we believe that Jesus Christ is the only way that our lost condition can be reconciled as the Bible declares: "Salvation is found in no one else (except Jesus Christ), for there is no other name under heaven given to men by which we must be saved." Acts 4:12. We believe that trust in Jesus Christ as one's Savior is the work of the Spirit of God on one's heart, mind and will. As you hear and understand, it is the Holy Spirit's power and work that moves one's heart and will to say "yes" to Jesus. Our growth in our lives as followers of Jesus is also the work of the Holy Spirit. Christian character is the product of Jesus living His life through us. We don't attain maturity by self-effort, but by being receptive to God's will in our lives, and then with the Holly Spirit's power being obedient to God's will. There is a mystery here about how God works in us. The Bible says: "For it is God who works in us to will and to act according to His good purpose." Philippians 2:13. We believe that God, the Holy Spirit, works in particular through the MEANS OF GRACE. This term means: the way by which God conveys His love, forgiveness, strength for daily living, and the assurance of eternal life to us. The means of grace are God's Word and the Sacraments. We believe there are two sacraments: Holy Baptism and the Lord's Supper. Holy Baptism was begun and commanded by Jesus for all people of all nations. Baptism conveys the benefits of God's grace (listed above) to young and old. A proper baptism is applying water to an individual in the name of the Triune god. The Lord's Supper is a means of grace by which the participant is united with his Savior Jesus as he receives, with the bread and wine, the true body and blood of Jesus. This is another mystery to us, but we take Jesus at His Word. In addition to the above benefits of this means of grace, regular participation in the Lord's Supper is a public affirmation of one's faith and a public expression of unity with all others who have received Jesus Christ as their Savior and Lord. We believe that Jesus Christ is coming again. He will come again to judge the world. We further believe that both those who believe in Jesus and those who rejected Him and His love and His promises will be raised from the dead. Those who have trusted in Jesus and received Him as their Savior will be given eternal life. They will enjoy the presence of God with fellow believers eternally. Those who have rejected Jesus Christ will spend eternity separated from God, condemned by Him because they did not receive His gift in Jesus. We acknowledge our oneness with all who confess Jesus Christ as Savior and Lord. The purpose of the local church in general, and Friendship Celebration in particular, is the equipping and maturing of God's people. The church in this sense should "comfort the afflicted, and afflict the comfortable." This means the church should minister love, care and admonishment as needed. Evangelism -- the proclamation of the good news of what Jesus has done for the world -- is the life blood of the church. We have been commissioned by Jesus to proclaim the message in our homes, neighborhoods, shops, businesses and campuses. Therefore in the church, we gather to grow and we scatter to befriend and win those outside the family of God. We believe that the purpose of God's Word is not only to grow in our understanding but also in the application. The Bible calls this responsibility: "stewardship." The primary concern in Bible teaching is the application of the principles of God's Word to one's life. That means as we grow we will develop Christ-like attributes which accompany our understanding. Jesus will become more the GUIDE in all the areas of life: relationships, finances, vocation, devotional life, possessions, future, education, my whole life and being under God's direction. We also believe that the purpose of the leaders of Friendship Celebration is not to do the work of ministry ALONE, but rather to equip others to do ministry according to the special gifts and talents which God has given them: evangelizing, serving, teaching, helping, counseling, encouraging, administrating, etc. God has gifted us perfectly to do His work in this place. Our responsibility is to unwrap the gifts we have in one another, and encourage the use of those gifts to honor God. We believe our fellowship of believers can be a place where you are loved and cared for. That is a very important goal we have. We also believe that the very best way that can happen is in a NURTURE GROUP, a personal group designed for everyone in Friendship Celebration where you will experience tender, loving care. These groups are the best place to become acquainted with other Christians, but they are especially important because they challenge us to accountability and growth in our faith. Our Nurture Groups exist because we all need friendship and support in our walk through life. Finally, we are in fellowship with the Bible-based, Gospel-centered Lutheran Church-Missouri Synod. We affirm our commitment and affiliation with the teaching of this denomination which believes that the Bible is the inspired, the only infallible, authoritative Word of God.